Web SDK by Kochava provides marketers with website tracking analysis to see how users interact with their brand across mobile and display. Users are identified by both a persistent, anonymous session ID and a click ID that allows for deterministic attribution to the channel that drove the user to the website. In this way, marketers can track users when they visit or register on the site regardless of whether they started their user journey on mobile or display. Just like our universal SDK, our Web SDK for mobile tracks all ads deterministically, from normal channels and networks, using a unique click ID appended to the user’s redirected ad view or click. 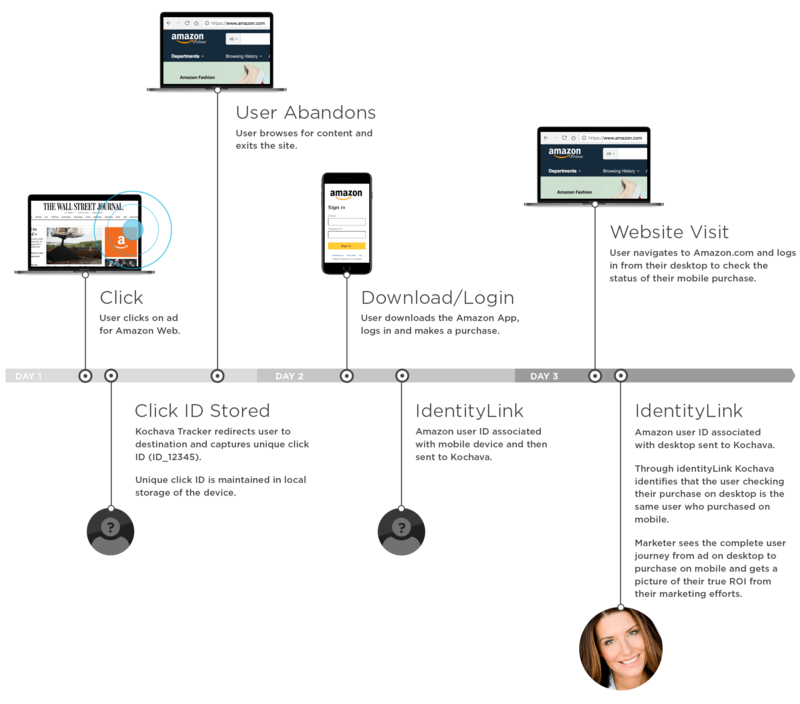 Cross-device tracking of user behavior is built in, using our IdentityLink function to connect user metadata to any session. The IdentityLink not only provides a complete view among user sessions but also provides visibility to user behavior from the website to the mobile application. Track users as they interact with your brand’s website, mobile web, email campaign, blog posts, or social media pages and monitor their activity on the Analytics dashboard with the same configurable features. 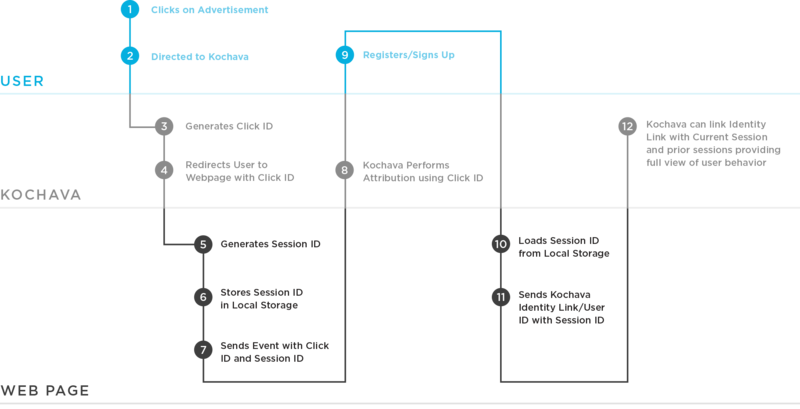 Use Web SDK with IdentityLink to get a complete, holistic measurement of user activity. For more information, visit our support documentation.